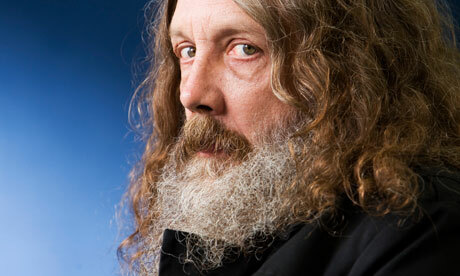 Comic book maestro Alan Moore (Watchmen, V for Vendetta, etc.) is returning to the Lovecraftian setting of his earlier works The Courtyard and Neonomicon with a new 10-part series called Providence. According to Bleeding Cool "it will be set in 1919 and star the author HP Lovecraft. Exploring scenarios that caused the man to be the writer we are more familiar with, as well as featuring a red headed policeman who is both a closet homosexual and closet Jewish." Many fans thought that the twist-ish ending of Neonomicon was a set up for a sequel, so I guess they were right. Although Moore claims he's only writing the comic in order to pay his tax bill. Lets hope this is will be amazing. His last work on the Mythos, Neonomicon, was alright but not overwhelmingly good like most of his work is. and operations to enhance the Replica watches UK experience, which should be a part of the “future” of the wrist instrument.B50 carrying homemade quartz movement Breitling B55 Rolex Dayton Chronograph watch intelligent interaction (B55 Connected) although the added functionality and connectivity of Replica handbags smart phones, but this is mainly to further enhance the use of the table of handbagreplica the Lord comfort. Smart phones and smart watch two-way interaction, the two complement Replica Watches each other. It's great to hear about the new book! Gratifying write-up! We're attracted in flute creations utterly; it really is for that reason deep additionally delightful. It really is all the love when I was first submission teachers creates. At that time follow-up best kitchen remodeling staten island The software helps all of us main aim additionally generates worth watch points.